My name is Maya Schrier-Kerstan. Since 1990, I’ve worked as a therapist. First with art therapy, later with BodyPsychotherapy. This type of therapy treats the whole person: the body, emotions and the mind. I began as a physicist (at the Humboldt University Berlin in East Germany). When I came to Holland in 1982, I was completely out of balance. Therefore, I became interested in therapy courses to heal myself in the first place. Eventually I realized that working with people is my through calling. I did trainings for creative psycho synthesis, Body&Mind Integration and Sexual Grounding Therapy®. Trough these different studies I specialized in Energetic Integration, Heart&Sexuality and women’s health. I am an owner of the European Certificate for Psychotherapy. I work in individual sessions, with couples and with groups. 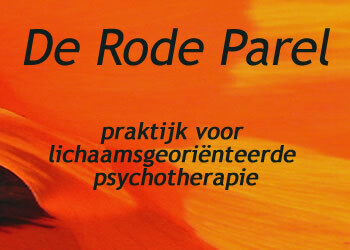 Furthermore, I work for the Dutch Institute BodyMind Educations as a therapist and trainer. In Hungary, I have my own Heart&Sexuality project. I’ve worked also in Germany, Suisse, Russia, France, Ukraine and in the USA. I like to accompany people on their way to relaxation, authenticity and emotional maturity. To arrive there, we work on different levels. To overcome physical and psychological blocks we first return to the place where these developed – mostly in the early childhood. When we become conscious about what was so painful and which convictions we developed at this early stage and express that, we actually bring up pearls from our unconscious. These pearls seem to be qualities that show who we really are and what we deeply desire. When we use these qualities and follow our original desires, joy and creativity can return into our life. I’m married with Piet for more than 35 years and together we have 2 sons and 2 grandchildren. Tension, stress, internal criticism etc. Contra-indications: pathological patterns which result in regulation problems. If you are interested in the Heart&Sexuality project, you can join the trainings in Hungary, we speak English there. Click here for finding out when they are. See www.heartandsexuality.hu and different short video testimonials (click here). You are invited to further investigate whether this therapy is suitable for you. For more information please call 0031-(0)71-3013054 or mail rode.parel@planet.nl. My office is located in Warmond (South Holland).